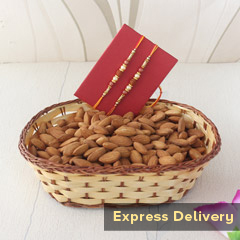 Give your blessing to your brother like every other year and send Rakhi to Qatar. 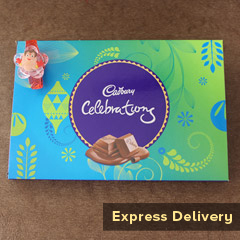 There are many gift combos to choose from in our gallery. 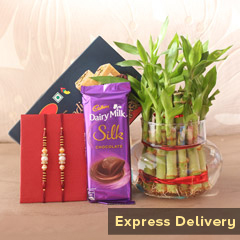 Browse all the combos and gift below to see which one you would like to gift your brother. The gift that you want would reach your brother within the given time frame. Raksha Bandhan is an auspicious occasion, one thatshowcases the love and respect that brothers and sisters have for each other. Itis really sad if your brother is not able to be present with you on thisoccasion. 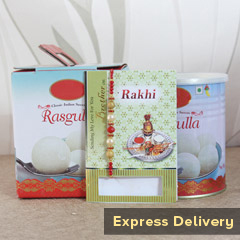 But you do not have to worry anymoreor feel upset as now you can send Rakhi to Qatar through us. 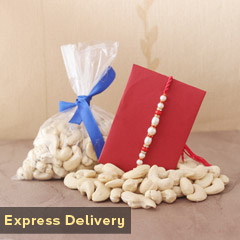 We have exclusive Rakhi gifts and combos and we also have Rakhi delivery in Qatar. 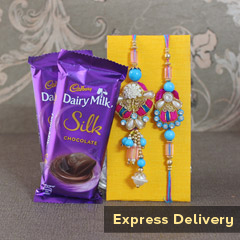 You can easily choosethe gift that you feel will be able to touch your brother’s heart and alsochoose one beautiful online Rakhi. When you browse through our gallery you will find thatthere are amazing combos which are quite unique and would surely give yourbrother joy. Your brother will not be able to control their joy when theyreceive the gift from you. The gift is a reminder of how much you love andadore him even though you both are miles apart from each other. 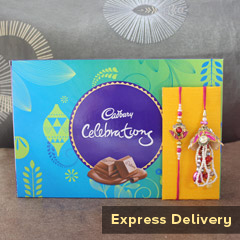 We aim toshorten the physical distance we have by connecting the heart of two siblings onthis auspicious day with our gifts and bring a smile on their faces with Rakhi delivery to Qatar.